What do you mean? It is Satsuporomi who does not know to refuse if invited. 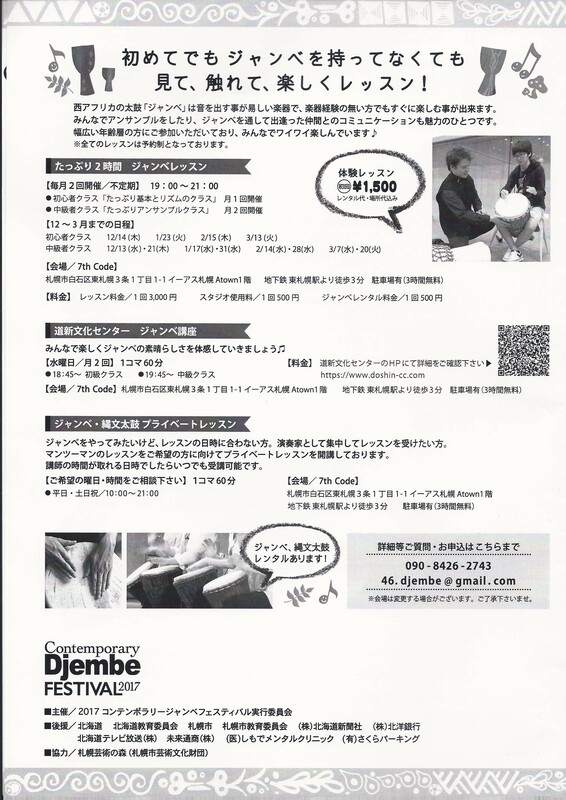 This time, I interfereed with the “Djembe Festival” which will be held for the fifth time. Have you heard of “Djambe” in the first place? West African folk percussion instrument. He says that he pulls out trees and puts goat ‘s skin. Since the sound comes out from the cavity below, tilt it with your legs and hit it. Actually I tried a trial lesson last year. Depending on where you hit, the tone is different. 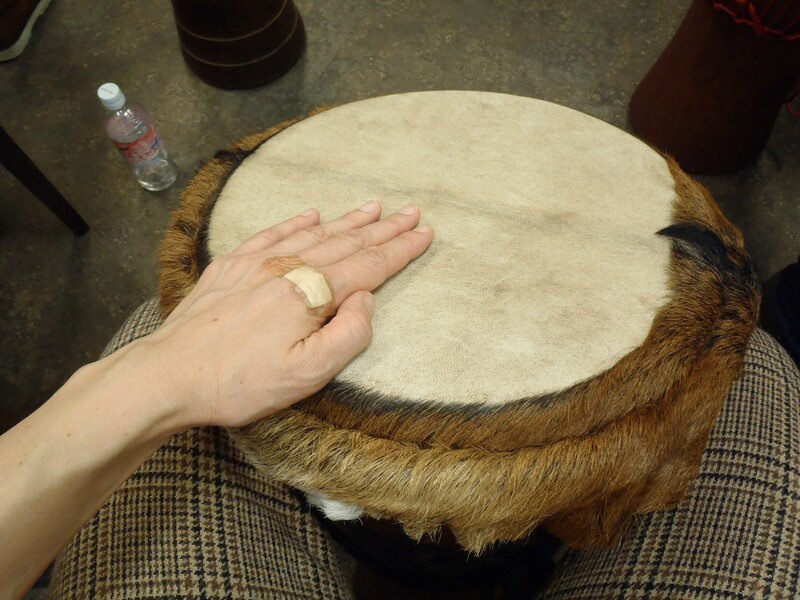 I briefly explained “Djembe”, but now, the story of Fes. Part 1 is the contest qualifying and 2 copies are the main and exhibition. Competition is divided into unit and solo, and it is selected by four judges. After the performance we received a word from the judges, but it was also interesting to listen to it while being amateur. There was one word column for each performer on the questionnaire sheet, and myself wrote his impressions just like a judge. There seemed to be some people for the first time for about 1 year, and if you start from now you may be able to participate next year! There was a guide of the lesson in the brochure. How about? I confirmed the results later, but the one who thought it was nice grinning because it was awarded! 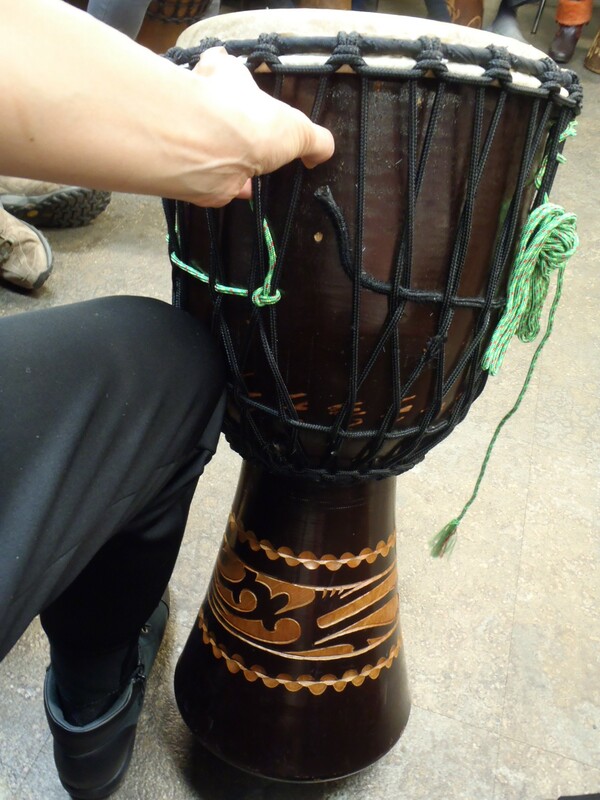 I am expecting that it will increase the popularity of Djembe population from now on.